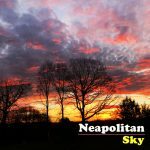 Update 2/1/19: “Neapolitan Sky” came out yesterday; added it to the archive! This entry is filed under What Not. You can follow responses through the RSS 2.0 feed. Both comments and pings are currently closed.